Yvonne Elizabeth Lyon was born December 15, 1932, in Sterling, Colorado. Parents, Leslie and Pauline Lyon, along with older brother Jack welcomed her home. Yvonne attended Sterling public schools, graduating in 1951. She attended Colorado A&M in Fort Collins where she earned her Bachelor's degree in Home Economics. While attending college, Yvonne met Darrel Schallenberger of Wild Horse, and they were married September 13, 1953. Their first child, Rebecca Elizabeth, was born August 19, 1954, and she, too, wore a cap and gown along with Darrel and Yvonne when they both graduated from Colorado A&M in 1955. After graduation, the Schallenberger family moved to Bird City, Kansas, in 1955 where Darrel taught Vocational Agriculture and Yvonne maintained the household. While living in Bird City, John Scott joined the family July 22, 1956. The growing family moved back to the family farm north of Wild Horse in 1961 as Darrel's parents began to slow down. Kim Erin completed the family August 11, 1962. Darrel and Yvonne raised three children and expanded the ranch over 38 years until they moved to Kit Carson in 1993. They remained in that home until April 2015 when they moved to an Assisted Living facility in Colorado Springs. Yvonne was an accomplished homemaker and enjoyed entering fresh and canned goods at the Cheyenne County Fair for many years. She was also a gifted artist and left many beautiful oil paintings for the family to enjoy. She expanded her love of art when she attended Western State College in Gunnison to obtain her teaching certificate. She then taught art at Kit Carson School from August 1967 through May 1970. Yvonne entered a new chapter when she began working for the United States Postal Service in 1974. She was ultimately appointed as the Postmaster in Wild Horse in January 1979. She loved this position and was named the Colorado State Postmaster of the Year in 1987 for her numerous educational activities at area schools for the USPS. Yvonne retired from the post office in 1994. Darrel and Yvonne were long time members of the United Methodist Church in Kit Carson. Yvonne was especially proud of ensuring there were always flowers on the alter and music in the sanctuary for all to enjoy. Darrel and Yvonne enjoyed family gatherings in the later years and took a wonderful trip to New England with Ernie and Judy Hammer in 2010. Yvonne helped the Kit Carson Senior Center with their quilting through the years also. Much of Yvonne's years at the assisted living were spent enjoying bingo, crosswords, and additional artwork including ceramics, drawing and coloring. Yvonne passed away quietly July 20, 2018, after a difficult respiratory episode. Yvonne was preceded in death by her parents, Leslie and Pauline; her husband Darrel, and her brother, Jack. She is survived by daughter Rebecca (Therrol) DuBois of Jacksboro, Texas; son Scott (Robin) Schallenberger of Wellsville, Utah; son Kim (Rhonda) Schallenberger of Wild Horse; 12 grandchildren and 17 great-grandchildren; sisters-in-law Karen (Ben) Richardson and Lois Jane Gulley; numerous nieces, nephews, extended family and friends. No services are planned at this time. The family will be gathering this fall in Kit Carson to celebrate Yvonne's life together and inter her ashes at the Kit Carson cemetery. 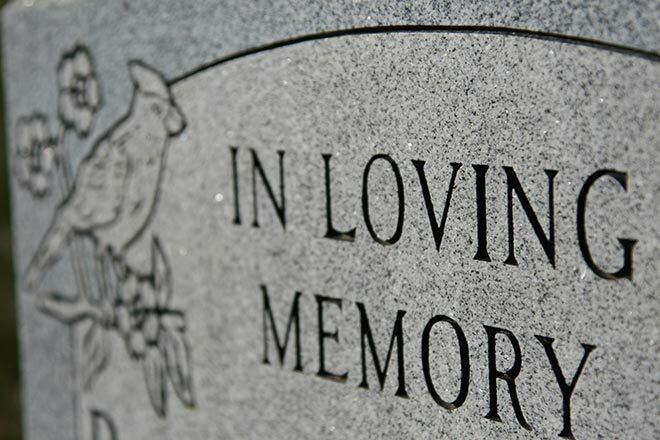 Memorial contributions can be made to the Lincoln Community Hospice in Hugo. Arrangements were under the direction of Brown Funeral Homes.